Our third Academic Representation Co-ordinators’ network meeting of the 2018-19 academic year will feature, among other topics, effective practice in education officer induction and mental health in the curriculum. 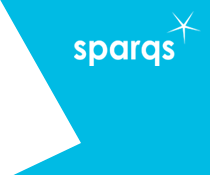 We will also look at sparqs’ new Strategic Plan and opportunities for engagement in its work. Finally, there will be the usual sector group discussions relating to all the ongoing developments in university and college quality. You can view the provisional agenda for the day. The event will begin at 11.00am, with refreshments available from 10.30am, and will finish at 4.00pm. Please note the slightly later timings than usual ARC meetings, to accommodate train times to and from Inverness. Lunch will be provided, and the event is free to attend. We are delighted to make this meeting of the ARC network accessible by video-conference if you are unable to make it to Inverness. Provisionally up to two in-person places will be available per institution for staff members with academic representation co-ordination roles, though this may be restricted to one depending on overall bookings. This number limit does not apply to those joining by video-conference. If you only wish to join by video-conference and will not be attending in person in Inverness College, you still need to register and must mention in “additional requirements” in the booking form that you will be on VC only. This is important so that we know to expect your link but not to include you in catering. We will contact those seeking to join by video-conference in due course with details of how to do so. If you want to discuss this event further please contact Simon Varwell, Senior Development Consultant – simon.varwell@sparqs.ac.uk - 07815 938966.